Jody A. Miller, Esq. practices exclusively in the area of general family and juvenile law, including divorce, custody, adoption, paternity, alimony and child support, modification and enforcement of final decree, visitation, family violence, name changes, domestication of foreign decrees, legitimation, prenuptial agreements, property division, delinquency, deprivation, unruliness, termination of parental rights, and juvenile traffic and criminal matters. Ms. Miller graduated from Emory University in 1981 with a degree in History and English, and entered the graduate business program at the University of Georgia Terry School of Business where she received a Masters of Business Administration degree. Ms. Miller attended law school at the Walter F. George School of Law at Mercer University, where she was on the highly esteemed Mercer Law Review for two years as well as on the Dean's List. Ms. Miller has family law litigation experience both in the metro Atlanta area and in outlying counties, including Fulton, Cobb, DeKalb, Forsyth, Gwinnett, Carroll, Coweta, Paulding, Cherokee, Clayton, Merriwether, Stephens/Habersham, Hall, Douglas, and Rockdale counties. She is admitted to practice in all State, Federal, and Appellate courts of Georgia. 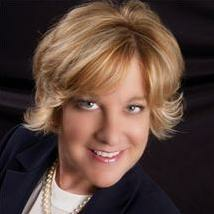 Ms. Miller is active and has taken leadership positions in both the legal community as well as the community at large. She was Chairman of the Lawyers in Practice Committee of the Younger Lawyers Section of the State Bar, Secretary/Treasurer of the Cobb County Bar Association Family Law Section, and Secretary of the Cobb County chapter of the Georgia Association for Women Lawyers. Ms. Miller is currently on the Board of Directors for the Sole Practitioner/Small Firm Section of the Atlanta Bar Association. She is a member of the State Bar of Georgia, the Cobb County Bar Association and its Family Law Section, the Atlanta Bar Association and its Family Law and Sole Practitioner/Small Firm Sections, the Cobb County Chamber of Commerce, and the Marietta Civitan Club, where she has coordinated several community projects. The philosophy of this law practice is to provide outstanding and creative legal services in the area of general family law in an atmosphere in which client service and communication is the first priority. We never forget that while we deal with family law issues every day, this experience is new to our clients, and each client deserves legal representation by an attorney who will take the time to listen, provide information, and return phone calls. At the law practice of Jody A. Miller, Attorney at Law, there is a face behind every file, and we ensure constant communication with clients and prompt response to clients' requests, questions, and concerns. We realize that family law litigation can be expensive; therefore Ms. Miller works with clients to help them find optimal solutions to their problems with maximum efficiency while providing highly competent and thorough representation. Settlement is usually the best way to resolve a case because it allows you to have control over the outcome. However, if litigation becomes necessary, Ms. Miller has the experience to be a strong advocate for her clients in the courtroom. Ms. Miller concentrates in the area family and juvenile law, and has done so since the beginning of her practice. Therefore, when you hire this law practice, you work with an attorney that understands and has years of experience dealing with all types of family law cases, and has practiced family law in front of different judges and in different locations. Ms. Miller has appeared several times on television and radio programs to discuss the topic of family law and has been a frequent lecturer on the topic of family law and law firm success. If you have a need to contact an attorney regarding a family or juvenile law matter, the law practice of Jody A. Miller, Esq. will provide creative, competent, and thoughtful representation in an atmosphere of service dedicated to the client. Please contact us if we can be of service to you.